Barely a week after Hillary Clinton and Eric Holder called for Democrats to get tough, both were the targets of pipe bombs, together with several other Democratic political figures, the day after President Trump goaded his followers to go after ‘the left-wing mob’, using the term by which Republicans have long referred to Democrats , especially those over whom power weighs most heavily. The term ‘mob rule’ has been in wide use, I believe, since shortly after the Constitution was adopted. Probably inspired by the storming of the Bastille during the French Revolution that took place a few years earlier, it conjures up images of wild-eyed men wielding clubs destroying fine furniture in their path. At a time of universal education and electronic media, President Trump has taken to referring to progressive demonstrators as a mob – a haphazard collection of individuals who would rule over others whose motivations are more laudable, especially ‘nationalists’. Two days ago, Trump declared himself a ‘nationalist’, prompting pundits to briefly evoke nineteen-thirties Germany. And yet, the fact that Trump’s penchant for violence should have led to what is being called ‘political terrorism’ is mentioned only in passing. The media is no more capable of being hard-nosed about this direct link than it was during the Presidential campaign that put Trump in the White House. On the first day, most of their reporting and ‘analysis’ was devoted to detailing how the bombs were made and delivered and other peripheral details: none made the case against the President. Now, on day two of what historians will call the lead-up to America’s second civil war, the press is still incapable of calling out the President for following calls to action against ‘enemies of the people’ with a mealy-mouthed, scripted call for cooperation and amity. 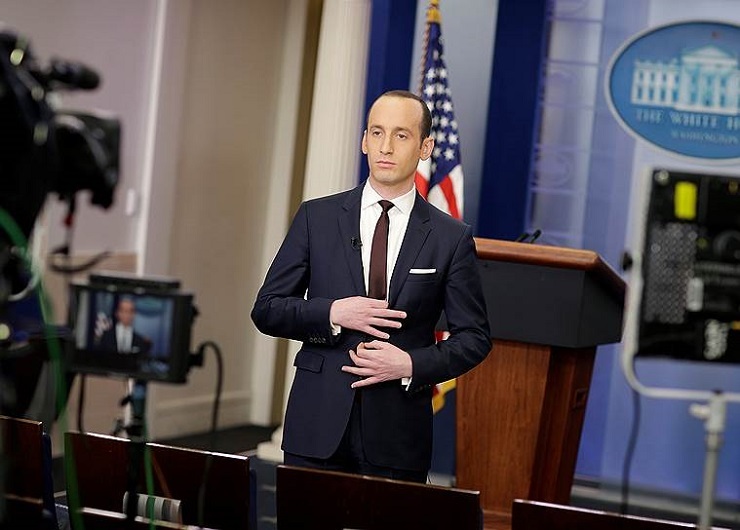 Not one analyst wondered what role the Alt-Right’s Stephen Miller, (still in the White House, while dozens have resigned or been fired) played in that call, delivered in what was the President’s least convincing public performance. The main problem with the American media is not ‘fake news’, as the President claims — and which did give rise to the alternate on-line media — but its fascination with ‘the story’. Rarely has the choice of vocabulary played such a crucial role in history as the American habit — going back to the early days of Hollywood — of referring to the latest news as ‘the story’. None of the cultures with which I hav interacted for decades such as the French, Italian or even Latino have adopted that terminology. However, under the overall influence of American culture, they have gradually come to treat news in that sensationalist way — at least in part. As I’ve written before, the way the press covered Donald Trump’s campaign, whose circus atmosphere was unique, accounts in large part for his success: his antics on the campaign trail were literally ‘too good to be true’: who wouldn’t chortle over them with gusto, regardless of what they portended? But now it isn’t funny anymore, as the media replaces glee with denial: it simply cannot be true that what we are witnessing is the first act of a civil war, even though Trump has dropped innumerable hints. Just a few weeks ago he warned openly — while appearing to exaggerate — that if he was prevented from carrying out his campaign promises, such as building a wall against immigrants from the south, America would witness violence. The crowds at his rallies leading up to the up-coming mid-term elections have been increasingly threatening, evoking newsreels of 1930’s German responding to their dictator’s rants. And now we have pipe bombs targeting Democrats: a much more significant ‘story’ than the deconstruction of health care, which appears to be the only ‘story’ America’s so-called ‘political analysts’ want to cover. 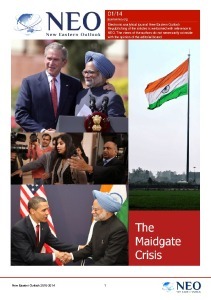 Deena Stryker is an international expert, author and journalist that has been at the forefront of international politics for over thirty years, exlusively for the online journal “New Eastern Outlook”.